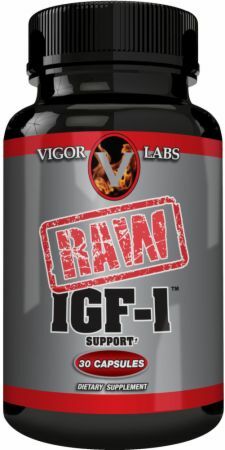 Vigor Labs Raw IGF-1 at Bodybuilding.com - Best Prices on Raw IGF-1! This well rounded formula is designed to give you optimal results in your training. Seems to help me feel stronger when taken before a workout. mark venice fla . great product , visible results. 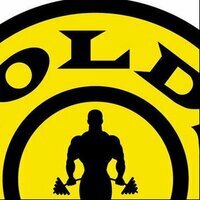 Increased on everything, I lift better with this. And I have more energy after my workout. I take before my workouts. It work great. After a week of use. I seen excellent results. so far so good! I have taken this for about 3.5 weeks and I noticed a great improvement in all areas or my physique. Will buy again. Cycled off the Raw HGH and wanted to try a good deer antler formula to see how I respond to IGF. Gonna give Raw IGF1 a 10 because I am more dense and the muscles look more mature with a more veiny look. I was worried I would get bad looking breasts but the DIM in the formula I read up controls estrogen levels and you can stay on it longer. 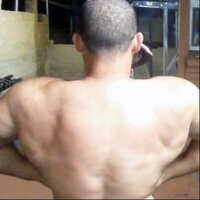 My main focus has been my back training and I have extra width. I believe in showcasing your strongest points and back is something that stays with you the longest even after an injury and you can't lift anymore. I stopped taking all other test boosters and growth hormone. I just take Raw IGF-1 and Whey protein and I'm have put on about 8lbs of hard dense muscle. I am in better shape at 40 than I was at 19 and 29. This product is definitely worth the money if you look at the ingredients anything with DIMM in it is pretty intense don't need anything else unless you are trying to compete. If I take before the work out I get a crazy energy boost going in (might just be me) but I definitely feel super amped to go into the gym and lift heavy. Totally satisfied I'm 4 bottles in and will continue and report back if the massive gains continue. These pills are great. Overpriced placebo. Saw no advancement or improvements. Was lifting better & stronger before the purchase of the stack. Had big expectations & was highly disappointed. Tried Raw IGF1 to compare to Black Antler and both are fairly similar. Equal results just not sure which is better for my purposes. The joints feel good after years of wear when i take the stack. I'm going to give it a toss up slight edge to Raw IGF1 to stack with the Raw HGH. I am keeping my gains well and adding more slowly now but staying super fit with the stack. Recovery is a big deal for me if I cant get going i am going to lose the gains and recovery is better with the right supplements. I used this in my first stack of supplements hitting the gym for the first time in 2.5 years. I used this with my post workout amino 2222 and tribulus pills and I have very visible gains from body fat reduction along with strength and muscle gain in just 1 bottle. My test and libido levels are noticeably higher than they were during my years out of the gym, and my soreness has not been as bad as I have experienced in the past. I am absolutely going to use this during my next on cycle. The antler sprays didn't do it for me, the IGF release this product gives is noticeable. I am building a great deal more muscle. Funny like it says I would say yep it does help training longer and harder with more intense energy. Sleep is better and thats half the battle if I am not rested I am quite a joke on the bench. When I stopped taking it the difference was big. It isn't that cheap but the deer velvet stuff in this is supposedly hard to get and you know its real or bodybuilding wouldn't put it up. More volume in the muscles so it works and no harmful effects. Gelatin, microcrystalline cellulose, silicon dioxide, vegetable magnesium stearate, and talc. 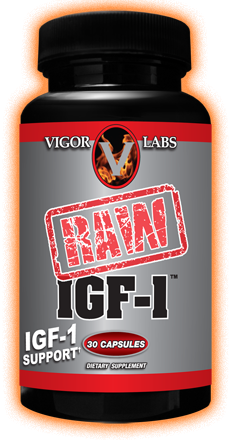 Directions For Raw IGF-1: As a dietary supplement, take one (1) Raw IGF-1™ capsule daily. Warnings: Seek advice from a health care practitioner to use this product if you have high blood pressure, heart or thyroid disease, diabetes, difficulty in urination due to an enlarged prostate, or if you are pregnant, nursing, or taking an MAO inhibitor or any prescription drug. Reduce or discontinue use if nervousness, tremors, sleeplessness, loss of appetite or nausea occur. Not intended for use by persons under 18 years of age. Do not exceed recommended serving size. Keep product at room temperature (59-86F). Do not expose to excessive heat or moisture.